We are excited that our school is enrolled in Harris Teeter Together in Education program, which is an additional opportunity to raise money for our school. The account number for our school is 4223. To ensure that Covenant receives the highest possible return, please pass the account number to your friends and to our supporters. Once customers have the number, they simply tell their cashier (during their check-out) that they want our account number linked to their Harris Teeter VIC card. 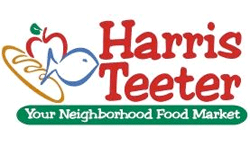 Once the account number is linked, every time they shop during the program, 2% of their Harris Teeter brand purchases will be contributed by Harris Teeter to our school. It’s that easy!